I’ve been away on vacation the last week so I didn’t have much time to get any writing in. It turns out that women really don’t like when you’re watching the draft and making notes in your hotel room in Whistler. Who knew? Anyways, in the first part of this 2-part article, I’ll be re-capping the moves (or lack thereof) by the teams in the Eastern Conference. I’ll let you know notable additions, subtractions, who’s still available and which teams were winners, losers or made lateral movements. 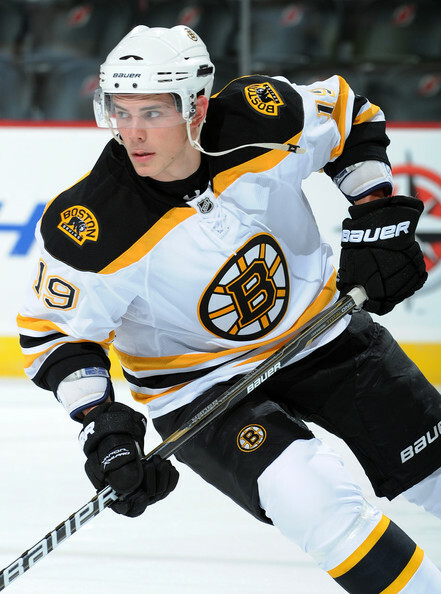 The Bruins made headlines just days before the draft by sending 2010 2nd overall draft pick Tyler Seguin, along with Rich Peverley and Ryan Button, to Dallas in return for Louis Eriksson, Reilly Smith, Joe Morrow and Matt Fraser. This deal didn’t exactly improve the Bruins’ hockey club, but ridding themselves of the distraction that was Tyler Seguin’s unprofessionalism and adding Louis Eriksson is definitely not a loss. There is little doubt that Seguin will be a great hockey player when he gets older, but apparently the Bruins just don’t have the patience to wait for him. Eriksson will excel on a line with Bergeron and Lucic. Jaromir Jagr and Wade Redden will not have their services retained and Kaspars Daugavins may have to wait for a contract until the team signs Tuukka Rask. There was a lot of talk about the Sabres moving some key pieces in order to “regroup” and add assets to make another run. However, after dealing Derek Roy to Dallas before the season and Jason Pominville to Minnesota at the deadline, GM Darcy Regier has still yet to make a decision on F Tomas Vanek and G Ryan Miller. If the Sabres are to improve to a playoff team again, it is almost necessary to move Vanek and Miller before the season because they will not be worth much the longer Regier waits. Jamie McBain is a good fit with Tyler Myers, but the forward depth on this team is abysmal and is in need of a serious upgrade. In: Anton Khudobin, Mike Komisarek, Elias Lindholm, Andrej Sekera. Out: Jamie McBain, Dan Ellis. The Canes made some minor adjustments, but stayed the course for the mostpart. The McBain for Sekera trade makes sense, as it gives Carolina some defensive leadership and veteran presence on their back end. The only small issue that may come up is the replacing of Dan Ellis with Anton Khudobin. Cam Ward has had injury trouble in the recent past and Ellis was solid in his absence; Khudobin, however, has only played a mere 21 NHL games and is a big question mark to take the starting role should Ward go down again. Otherwise, the future looks bright in Carolina, and it will be fun to watch this young team develop. Bobrovsky!! Despite signing Nathan Horton to a 7-year, $37.1 million deal, the biggest accomplishment for GM Jarmo Kekalainen was signing G Sergei Bobrovsky. The kid is still young at only 24 years of age and signing him short-term is genius. Truthfully, yes, Bob had a Vezina-worthy season. Goaltenders, however, take much longer to mature than skaters do and, therefore, could mean that Bob is just a flash in the pan who could drop off the face of the Earth next season (like Vesa Toskala, who had 1 good season, was acquired for a first- and second-round pick and then disappeared). Only signing him to a 2-year deal also means he will be a restricted free agent at the end of the contract as opposed to an unrestricted free agent and give Columbus sole negotiating rights. After dealing with Bobrovsky, the Jackets then went on to sign Nathan Horton long-term, creating a strong core and a seriously dangerous top line of Horton, Brandon Dubinsky and Marian Gaborik (assuming Gaborik’s glass shoulder/groin/knee all hold up). 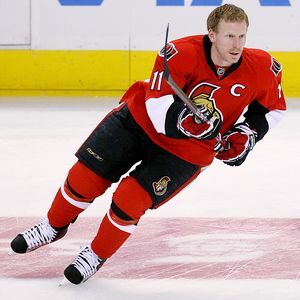 Any team that adds Daniel Alfredsson to there roster cannot be considered a loser of free agency. After realizing the former Ottawa Senators captain and longest serving player was not going to re-sign, Ken Holland and the Red Wings pounced, inking Alfie to a one-year, $5.5 million contract. There is no question to what Alfredsson brings to the table. The Wings are getting one of the league’s longest-tenured captains, a capable point-producer, and a huge boost in leadership to help Pavel Datsyuk and Henrik Zetterberg bring along the youngins. As well as Alfredsson, Detroit signed former Florida Panthers C Stephen Weiss to a 5 year, $24.5 million contract. Weiss will bring a consistent scoring touch, as he has scored 20 or more goals 4 times in the last 7 seasons. Being in possession of the second-overall pick in, arguably, one of the deepest drafts in NHL history, many expected the Panthers to select either C Nathan MacKinnon, D Seth Jones or LW Jonathan Drouin. After Colorado picked MacKinnon first overall, everyone in the Prudential Center was left scratching their head as GM Dale Tallon announced the team was selecting Alexsander Barkov instead of Jones or Drouin; especially with a glaring need on defense and rival Tampa Bay sitting patiently in the third overall spot. Despite passing on Drouin and Jones, Barkov makes a nice addition up front with the likes of Calder Trophy winner Jonathan Huberdeau and future 25-goal scorer Nick Bjugstad in the Panthers’ current ranks. Forgetting the draft for a minute, Florida needs to acquire a goaltender, and quickly. They were dead silent on July 5th with capable goalies like Ray Emery, Ilya Bryzgalov, Mike Smith and, apparently, Cory Schneider available. 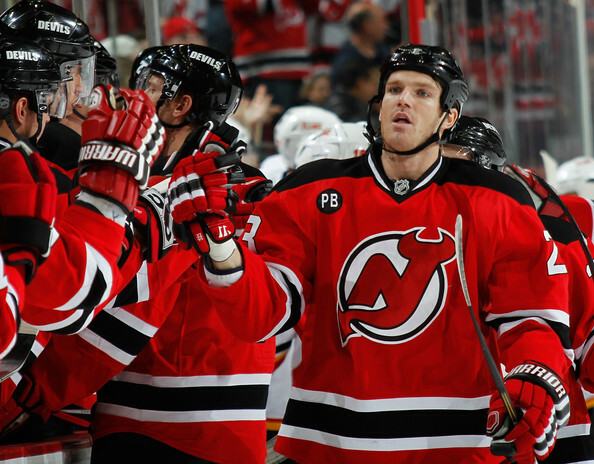 Could they not have made a better deal for Schneider than New Jersey did? Or were they just unwilling to give up the no. 2 pick? Regardless. this issue needs to be addressed. Les Habitants have not gotten worse since the entry draft, but also have not gotten much better. After letting Michael Ryder walk, GM Marc Bergevin replaced him with an older, less productive in recent years Danny Briere. Briere is a massive playoff producer, but if he can’t make it there healthily, he absolutely will not be worth the $4 million he will be getting paid (from the Canadiens, anyways). This is a calculated risk, however; if Briere doesn’t work out, he’s only signed on for 2 seasons at a tolerable salary, but f he stays healthy and puts up playoff numbers like he has in the past, he will be one of the steals of free agency. Another addition made by the Habs was George Parros and, quite frankly, if someone can explain this to me, I would love to hear it. After going hard after Brandon Prust last year and paying him $2.5 million(!!!! ), Bergevin brought in another enforcer to waste a roster spot that could be used for an up-and-coming prospect like Gabriel Dumont, Charles Hudon, Tim Bozon or Michael Bournival to gain some experience. On the whole, Montreal’s biggest move may have been not making too many moves. The team made big strides last season and won’t need too much tweaking to continue progressing. 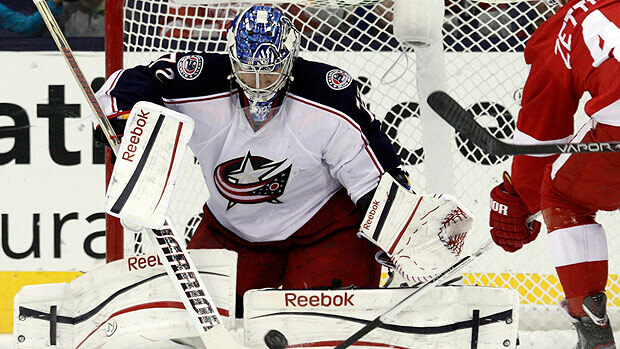 Out: David Clarkson, Johan Hedberg. This offseason, there was a lot of talk around the Devils. Between David Clarkson and Martin Brodeur, there were a lot of question marks hanging over the organization. With Clarkson and Janssen not re-signing, Uncle Lou had to replace some of the sandpaper up front so he added Ryan Clowe to provide the dirty work as well as put in a few ugly goals here and there. Was he worth $4.85 mil a year? That remains to be seen at this point, but one can only assume that that is a slight overpayment, considering Vinny Lecavalier signed for $4.5 mil per and Stephen Weiss got $4.9 mil. Nino Niederreiter has a promising NHL career ahead of him and will be a star in the league; it just wasn’t happening in Long Island. A lack of ice-time and opportunity left a bad taste in Nino’s mouth and it was beginning to be a little too dramatic for Snow, so Nino was sent to the Minnesota Wild for Cal Clutterbuck and a 3rd round pick in 2014. Clutterbuck adds some needed toughness to the Islanders lineup and can put a few pucks in the net as well. 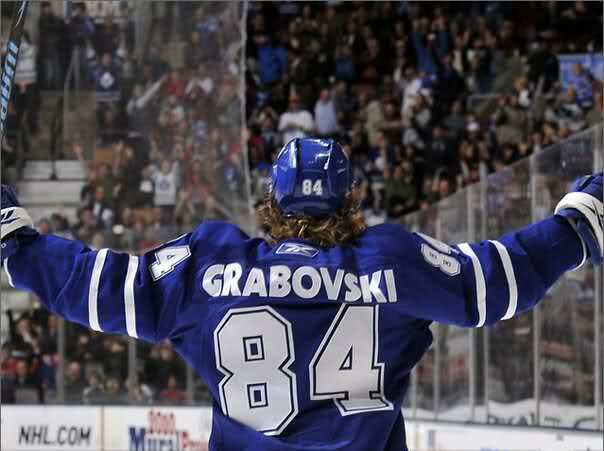 He is a heart and soul player who leaves it all on the ice and should make the players around him better. Pierre-Marc Bouchard has to be the most underrated signing this offseason so far. $2 mil for a guy who can put the puck right in John Tavares’ wheelhouse is a steal. He comes with almost 600 games of experience and can pass like nobody’s business. expect Tavares to score 10-15 more goals with Bouchard on his wing. The rest of Garth Snow’s winning streak comes from addition by subtraction. Having Rick DiPietro off the roster and out of the organization has to be a huge sigh of relief for Snow and Isles’ owner Charles Wang. Evgeni Nabokov is no longer the goalie he used to be, but he is paid accordingly and has virtually no expectations. Losing Mark Streit hurts, but there is little you can do with pending UFAs; you can either throw way too much money at them to stick around (cough Mike Smith cough) or you can do what Garth Snow did and trade his rights for a pick that may or may not amount to an NHL player. In this case, the latter is probably the better since Streit got more from Philly than Snow was willing to pay. The Rangers have been one of the quieter teams in the NHL this offseason, after making their blockbuster moves during the season. Having the majority of their young core in place and bringing in Rick Nash during the season, Glen Sather essentially stood pat, letting Ryane Clowe sign across the river in New Jersey for too much money and signing depth forwards Dominc Moore and Benoit Pouliot. The biggest change for the Rangers has come from behind the bench. With all the pieces in place to be a cup contender, John Tortorella just wasn’t getting through to his team anymore. So, he was kicked to the curb and Alain Vigneault was brought in. Vigneault knows how to coach young players and veterans alike and has playoff experience. His calm demeanour and ability to work with all types of players should provide the Rangers what they need to take the next step. 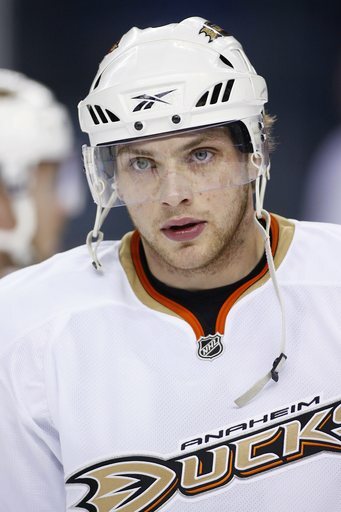 Despite losing their captain and longest-tenured player to the Red Wings, Bryan Murray and the Senators wasted no time filling his spot, sending prospects Jakob Silfverberg and Stefan Noesen to Anaheim along with a 2014 first round pick for Bobby Ryan. Ryan is a former 30-goal scorer and putting him with Jason Spezza and a healthy Milan Michalek will bring an immediate threat to Ottawa’s top line and a boost to the NHL’s 20th ranked powerplay in 2013. The Flyers have a reputation of making splashes in the offseason, and GM Paul Holmgren did not disappoint. After making headlines in early June by buying out F Danny Briere and G Ilya Bryzgalov, Holmgren signed arguably the most sought-after free agent on this year’s market: Vincent Lecavalier. 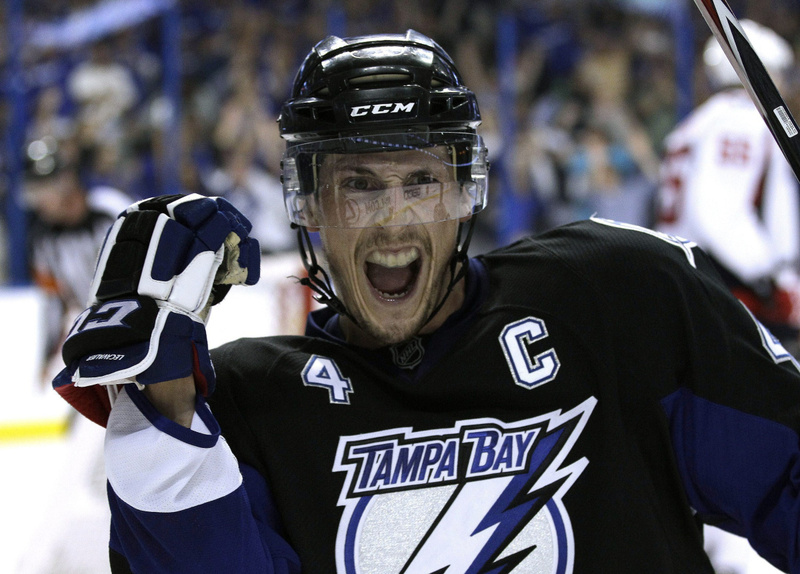 After being bought out by the Lightning for having an expensive contract, Lecavalier didn’t waste much time signing a new, overpaid long-term contract with the Flyers. 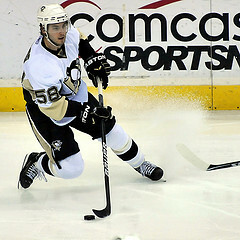 He figures to play on the first or second line and should bring some extra offense. Being famous for having a severely weak back-end, Holmgren addressed the need with what was available. Being $1 million over the salary cap doesn’t help, but the Flyers were able to acquire the rights to and sign former Islanders captain Mark Streit, as well as sign Stanley Cup Champion Ray Emery to a low-risk 1 year deal. Emery may not be the best goalie in the league, but he should bring a little more consistency and professionalism to the Flyers crease and serve as an apt replacement for Bryzgalov. Despite not playing a minute in the playoffs, it is not a stretch to say that the Blackhawks would not even have been there were it not for Emery. After failing miserably in the conference finals to the Bruins, the Penguins had soul searching to do this offseason. After re-signing Chris Kunitz, Evgeni Malkin and Kris Letang to extensions, the Pens are out of money and still have roster spots to fill. Re-acquiring Rob Scuderi is a good start to fixing the blueline, but it would have been beneficial for GM Ray Shero to do something about his goaltending situation, since it seems as though Marc-Andre Fleury has forgotten what his job was in the NHL. Alas, the Penguins have made few moves so far and unless they sort out their salary cap conundrum, next season could be very interesting for Crosby and Co. The Bolts also dipped into the free agent market by inking for Red Wing Valteri Filpulla to a 5-year deal. Besides Clowe in Jersey and Filppula’s replacement in Detroit, Weiss, this has to be one of the most overrated deals to be handed out this year. $5 million per season for a guy who has scores more than 20 goals and 50 points ONE TIME, in the same season for that matter, is ridiculous. The fact that he even got those goals and points could have a lot to do with playing with Datsyuk and Zetterberg. 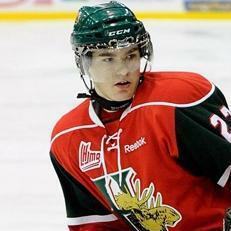 Here’s hoping he can transition from playing with 2 Europeans to 2 Canadian boys. There are a lot of names on the “out” list in Toronto that must be bringing smiles to the faces of Leaf fans everywhere. Ridding the team of Komisarek, Connolly, O’Byrne and even Grabovski opens up some cap space and makes room for some youngsters like Morgan Rielly and Carter Ashton to step up. Before the draft, Dave Nonis did what Brian Burke couldn’t and took care of the goaltending position. Despite placing his utmost confidence in James Reimer, the Leafs GM sent Matt Frattin and Ben Scriven to Los Angeles for long-time backup Jonathan Bernier. Bernier has some of the best numbers in the league the last 2 or 3 years (2.36 GAA, .916 SV%), despite being stuck behind incumbent starter Jon Quick. The battle for playing time will be fierce as James Reimer has stated publicly that he has no intention of giving up the net. David Clarkson, one of the biggest names on the free agent market, is exactly the type of player Toronto needs, and should bring a huge character boost to the Leafs locker room. Raised in Toronto, Clarkson is the hard-nosed, gritty type of power forward the Buds have been looking for since Tie Domi left and, along with the addition of Dave Bolland, should make it awfully hard for teams to play against them. Hello, George Mcphee? Oh! You guys ARE still a team! Where were the capitals this offseason? Apparently holding the door so all their free agents could walk. After losing 2 top 6 d-men and 2 top 6 forwards, you would think Washington had some backup plans when their backup plans didn’t work. Unless the Caps make some depth moves before the season starts, I wouldn’t expect them to be back in the playoffs come spring 2014. So, that concludes my first free agency/offseason analysis! Let me know what you think and check back tomorrow for the Western Conference! Thanks for reading! thanks! i though they overpaid for both Lecavalier and Streit; at the end of the day, though, they improved their club with not just the additions they made but also because of the subtractions.